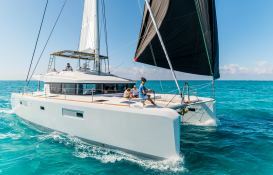 Chartering this beautiful catamaran Lagoon 52 will allow you to discover the beauties of the Virgin Islands in the greatest comfort. 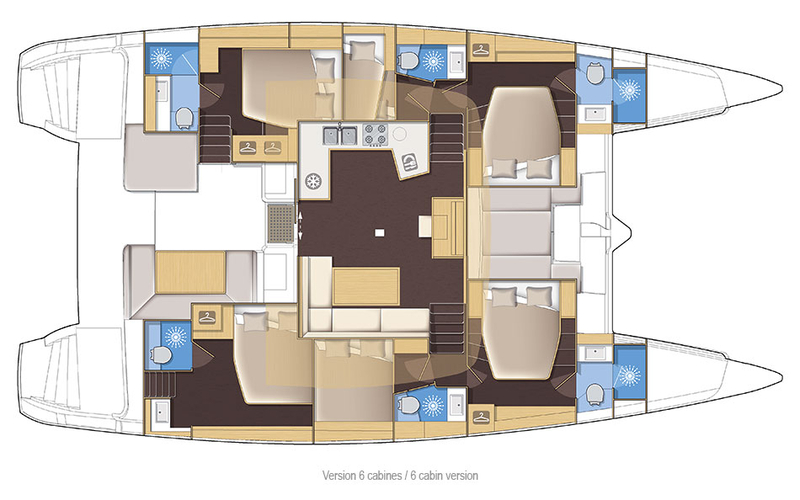 Designed to accommodate 8 people, the Lagoon 52 boasts the ultimate amenities allowing you to navigate safely from Road Town to Tortola. The British Virgin Islands are known around the world for their coral reefs, white sand beaches and turquoise waters. 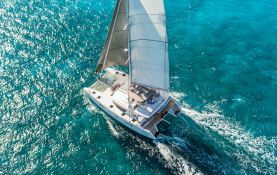 Whether in Tortola, Jost van Dyke, Norman Island, Great Camanoe, Great Thatch, Salt Island, Prickly Pear or Great Harbor you will enjoy crystal clear waters everywhere. 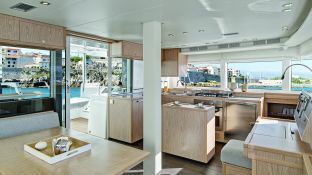 This magnificent catamaran with its 4 double cabins equipped with bathrooms is the largest available for bareboat charter in the British Virgin Islands. However, if its size is too big it is easy to take the service of a skipper, but be careful to foresee it in advance. In the opinion of customers, its use is simple enough for sailors used to navigate on catamaran. Indeed all its equipment in terms of navigation are what we do best so far. 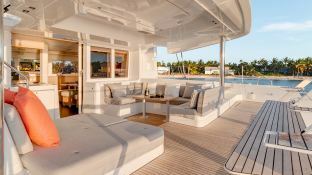 If you want a little more sensations do not hesitate to rent this boat in one way from Saint Martin. 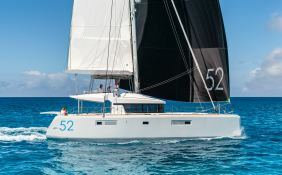 This catamaran is available for yacht charter with a base price of 9 700 € (approximatly 10 939 $).